Learn how Visual Visitor's Website Visitor Tracking works! Is your business looking to expand their customer base and get more sales? Do you find that the high cost of marketing is breaking your budget? Then it is time to discover how website visitor tracking can build your sales and grow your business. Start your 14 day Free Trial today! Our full feature trial will allow you to experience the power of website visitor tracking from Visual Visitor with no obligations, no credit cards! Gauge Outbound Sales Effectiveness – are you using social media for advertising? Are your cold calling methods effective? Wouldn’t you like to know which calls visit the site for more information? No longer are those visitors anonymous with Visual Visitor. Track the Deal Gone Cold – how many times have your sales people found that the has disappeared after the big pitch? Many times this happens as the potential customer evaluates other products or does product comparisons. Not to worry, Visual Visitor will be tracking them long after the pitch and let you know when they return. The Timely Phone Call – by identifying the potential leads as they are visiting your site, Visual Visitor allows your sales staff to make the perfectly timed phone call. This will give your team the advantage over the competition as you are able to engage in the sales process earlier, build on these relationships, and close more sales. Market Segmentation – there are many social media marketing outlets available today and they require a financial investment. Tracking the effectiveness of those campaigns external to the provider can help you gain a better understanding of the different types of companies that are evaluating your products and services. Will Website Visitor Tracking work for my business? 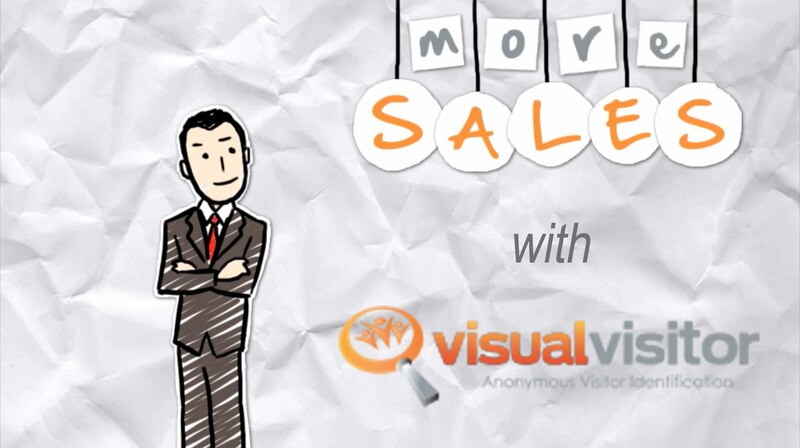 Using Visual Visitor has increased our sales and helped us to streamline our sales process. We tried other website visitor tracking software, but their trials were limited and their sales staff was aggressive. We have enjoyed working with the staff at Visual Visitor and look forward to a long partnership. When your potential customers show interest in your business by visiting your website, do you even know that they are there? You will with Visual Visitor’s anonymous website visitor identification on your side. Our product will take your website lead generation to a new level. Start your FREE 14-day trial and experience the website lead generation tool businesses trust.